Losing or missing teeth are a common problem many people face at different times throughout their lives. It can be due to various reasons like age, gum disease, tooth decay, an accident or a failed root canal treatment. Lost tooth if left untreated, can lead to serious oral and health problems. There are a lot of options available to restore missing teeth, but a dental implant is considered the ideal choice. Dental implants are a permanent fixture that can look, feel and function like natural teeth. Got missing teeth? Suffering from pain due to broken teeth? Tired of your slipping dentures? Puzzled if dental implants could fit you and solve your problem once and for all? Contact the best dental implant centre in Chennai. Only an implant dentist can determine if dental implants are right for you. If you’re worried about the cost of dental implants in India, do not fret. 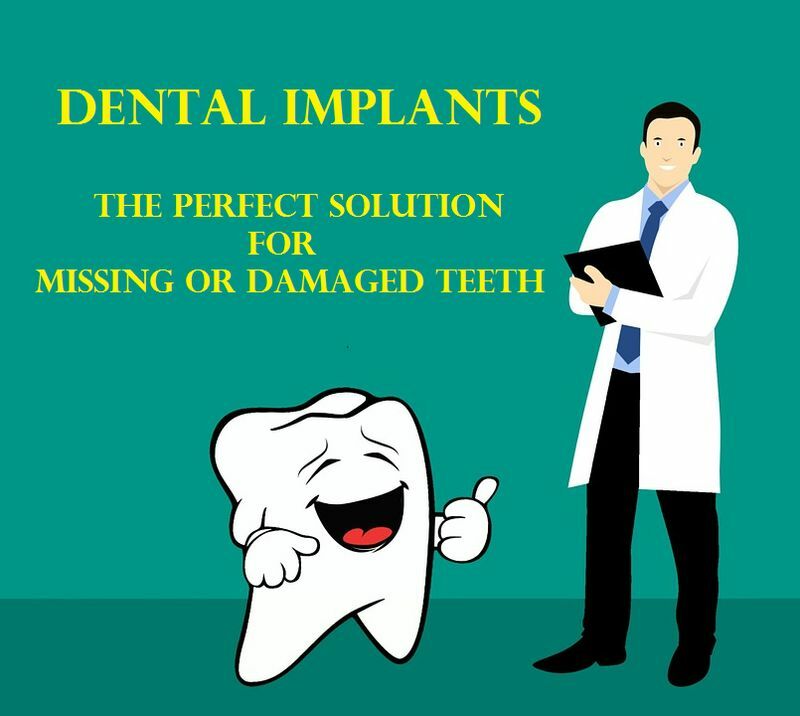 There are a few best dental implant clinics in Chennai who offer the most affordable dental implant treatment in India at high quality. When do you need a dental implant treatment? If you get your tooth broken or cracked due to some accident and it cannot be fixed by any means, then a dental implant is your only rescue. Having a dental implant in this situation can help restore the tooth structure. You might miss your teeth due to various reasons like age, gum disease and others. Missing your teeth can restrict you from speaking and laughing, which in turn may lead to embarrassment and reduce your confidence level. Dental implants are the right solution to fill the empty space with a natural looking tooth. It will easily blend with your natural teeth and help you restore your smile and confidence. Dentures also provide a great solution to missing teeth, but dental implants work better than dentures. Loose fitting dentures can slip from your mouth while talking which makes you feel self-conscious and embarrassed. Implants are fixed and they do not move. With implants, you need not worry about loose fitting or feeling insecure that it will slip out while talking or eating. Dental implants are a great way to prevent bone loss in the jaw which can be caused due to missing teeth. Dental implants are made of titanium, which bonds to the bone tissue in a natural way and acts as an artificial root. This bonding stimulates the jaw bone growth, thus reducing the deterioration of bone over time. People who miss their or who have dentures can have a sunken-in facial appearance that makes them look aged. It happens due to bone loss. Unlike dental implants, dentures and other teeth replacement options do not stimulate bone growth which leads to bone deterioration. The result is the change in the facial appearance. Dental implants are a great way to solve this problem and it can help you stay and look young. The structure of your teeth may change over time due to various reasons. You might also experience a severe toothache due to cavity or gum problem. When your tooth is intensely damaged due to a dental problem and you cannot fix it or save it, the dental implant is the best choice. When your tooth is severely infected and it cannot be repaired or saved, you may need it to be extracted. In such cases, a dental implant may be the right treatment for you to replace the infected tooth. Dental implant can give you a new tooth that can look, feel and function just like your normal tooth. When it comes to restoring your lost or missed teeth, nothing could replace dental implants. Looking for dental implants in Chennai? Look no further than MSR dentistry. They specialize in offering all types of dental implants like Nobel implants, Zygoma implants, all on 4 implants and others. Schedule your implant consultation with MSR dentistry now.